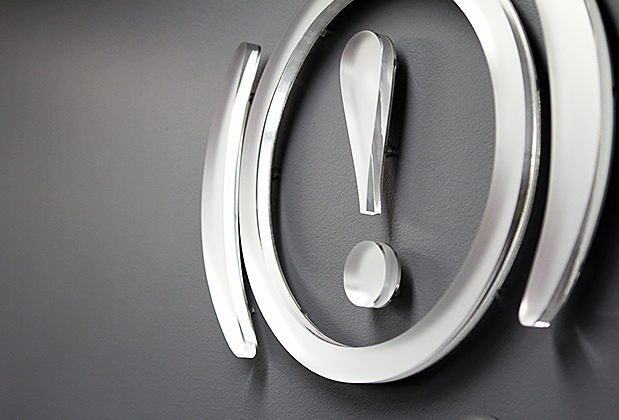 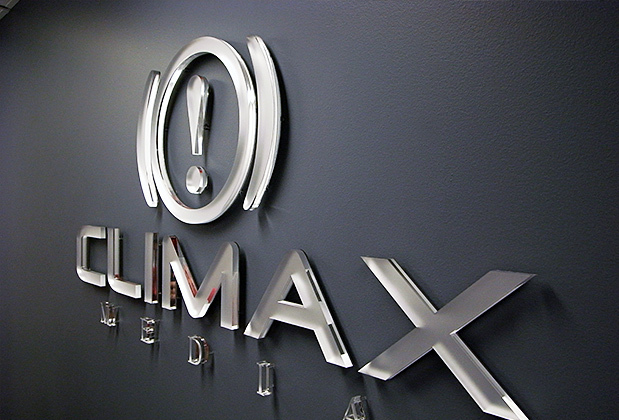 Corporate logo sign 48" x 24" overall dimensions, ArtSigns® Pastel Ice Metallic® finish, 1/2" thick acrylic with 1/2" spacers. 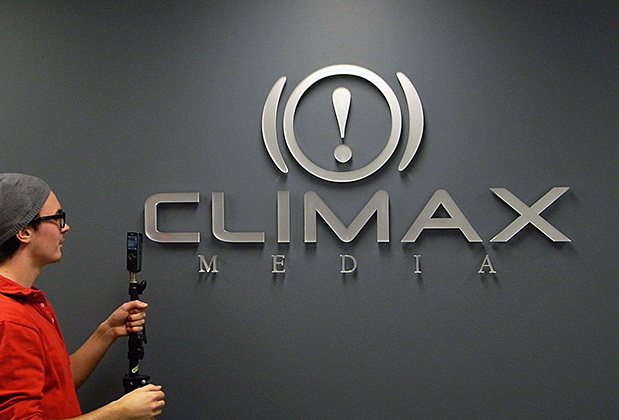 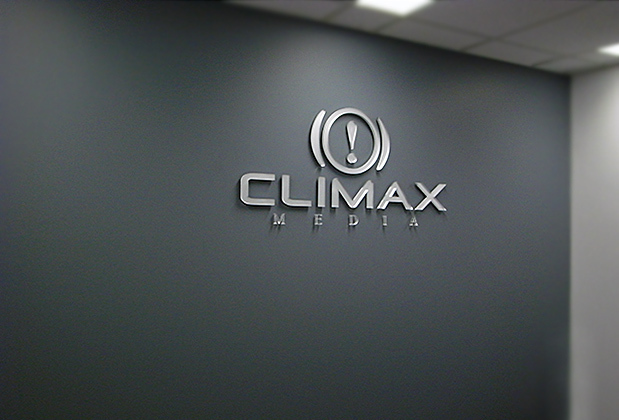 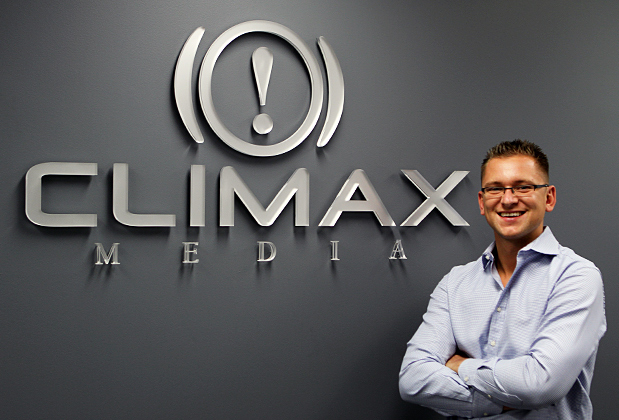 Climax Media 3d corporate logo sign from the distance. 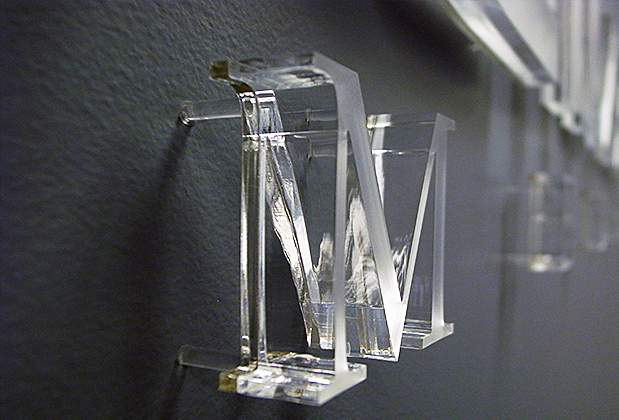 Another angle, pastelicemetalic® finish, clear polished edges. 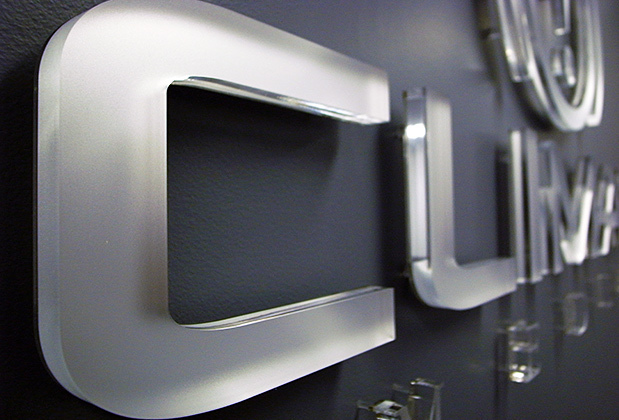 Pastel Ice Metallic®, another angle.